Ancient astronomical observatory unearthed in Georgia was doomsday clock? About three hours west of Savannah, Georgia archaeologists unearthed an ancient Indian mound which had a secret hidden chamber inside. Inside this secret chamber was a circle of fifty seats and an altar in the shape of a hawk or eagle. 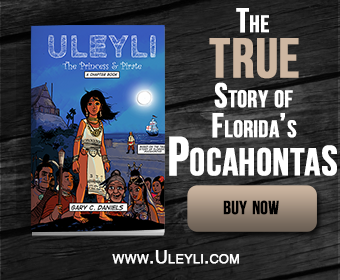 Known as the Ocmulgee Earthlodge, new evidence proves this earth-covered building was a sophisticated piece of engineering with precise astronomical alignments that likely served as an astronomical observatory. It also appears to have served as a type of doomsday clock forewarning its designers as to the next severe meteor storm. This earthlodge observatory is located at the Ocmulgee Mounds National Monument in Macon, Georgia, a site which dates to around 900 AD. 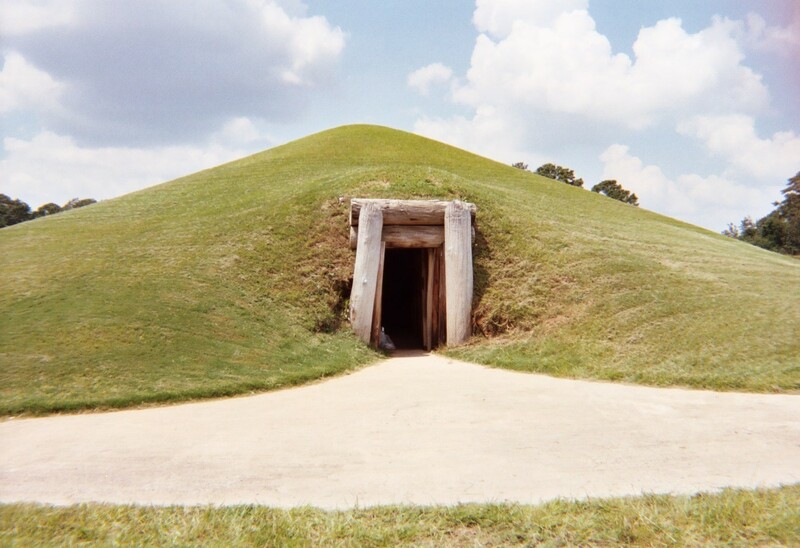 The Ocmulgee Mounds site contains an enormous earthen pyramid ninety feet tall known as the Great Temple Mound. (The Mayan pyramid at Chichen Itza is only 75 feet tall by comparison.) This pyramid was stuccoed in bright orange Georgia clay and magnetometer scans showed that it had a spiral ramp leading to its summit angled to the Ocmulgee River below. 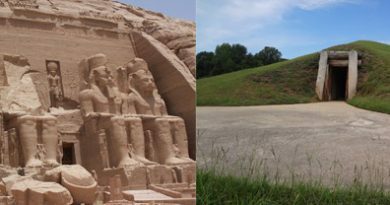 A smaller earthen pyramid known as the Lesser Temple Mound forms a right angle with the Great Temple Mound and the two pyramids form the boundaries of a giant central plaza. The earthlodge exists across this vast central plaza north of these two pyramids. Excavations revealed that the secret chamber within the earthlodge was accessed by a low, earth-covered, tunnel-like entrance. The doorway for this entrance was aligned with the sunrise on October 22. On the morning of October 22 the first rays of sunlight would pass through the doorway and illuminate the bird-shaped altar. This bird had a design around its eye known by scholars as the ‘forked-eye motif.’ This design takes on the appearance of a two-tailed comet. 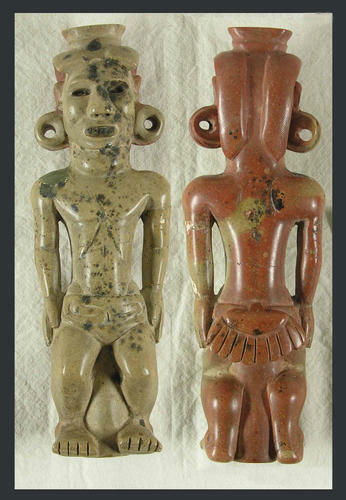 Most similar astronomical structures in the Americas are aligned with the vernal equinox on March 21 thus what was the reason for this unique alignment on October 22 at the Ocmulgee earthlodge observatory? Was there another astronomical event the builders wanted to observe? Today the Taurid meteor shower peaks on the night of November 5th. Yet 1000 years ago, due to a phenomenon called precession of the equinoxes brought about by the slight wobble in the Earth’s rotation, this meteor shower would have peaked 14 days earlier on October 22. The Taurids appear to emanate from the Pleiades star cluster within the Taurus constellation. The Pleiades would also have been visible through a hole in the roof of the structure as they reached their zenith or highest point in the sky. Why would these ancient astronomers have aligned their earthlodge observatory with both the Pleiades and the Taurid meteor shower which emanates from the Pleiades? 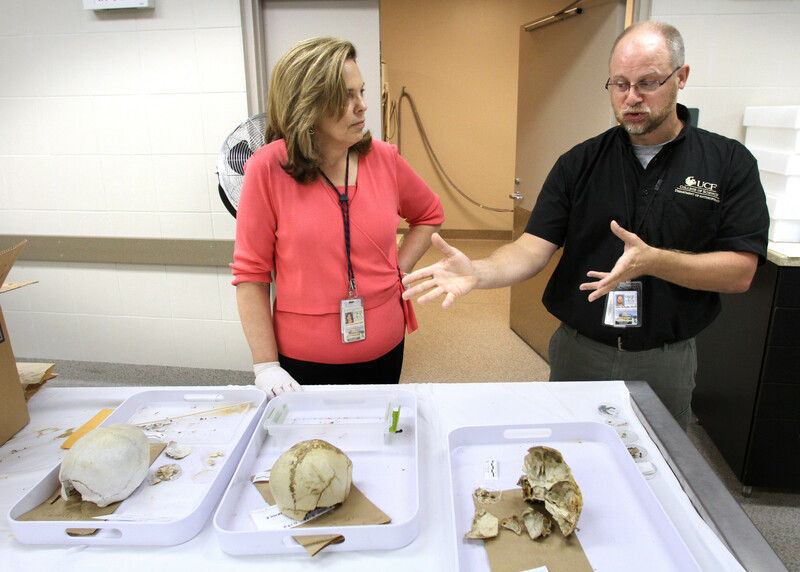 Stephen J. Culver at East Carolina University noted in a scientific article in the journal Sedimentary Record that the Outer Banks of North Carolina were completely washed away around the same time period and took over 400 years to reform. Dallas Abbott also found tsunami deposits associated with this event in New York, the Caribbean and northern South America. 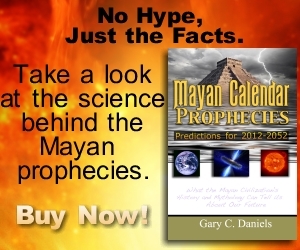 According to Aztec legend their Fourth Sun was destroyed in 1011 AD by a flood associated with the sky falling. This event was recorded on their famous Aztec Calendar Stone and features two “fire serpents” around the outer rim with seven star symbols on their snouts. The Pleiades, also known as the Seven Sisters, is composed of seven stars and thus this sculpture likely records this impact event as well. Coincidentally, archaeologists have radiocarbon dated the earthlodge to around 1015 AD. At this time it appears the earthlodge observatory was burned to the ground. As noted the earthlodge was designed to let its builders know the day of the peak activity of the Taurid meteor shower. Yet this shower can last a couple weeks and large meteors can appear at any time during this shower not just at the peak. Since this impact event occurred a couple weeks before the peak activity did the builders of the Ocmulgee earthlodge observatory realize their sophisticated doomsday clock was flawed and thus burned it down after the catastrophe of 1014 AD? The Ocmulgee Earthlodge has been reconstructed over its original floor with its bird-shaped altar intact and can be seen at the Ocmulgee Mounds National Monument in Macon, Georgia. You can learn more about the Ocmulgee Mounds and other ancient Native American civilizations of Georgia at LostWorlds.org. You can also find me on Facebook, Twitter, and Pinterest or subscribe to my newsletter. 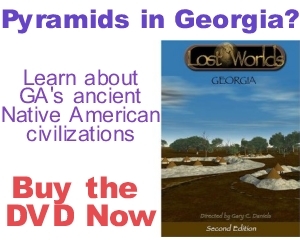 You can also watch or subscribe to my LostWorldsTV YouTube Channel or buy my Lost Worlds: Georgia DVD.